So we’ve finished the first ten levels and learned a lot about creating squares and/or long patterns on TwoDots, among other things. 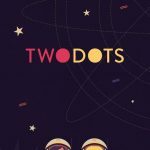 But you may have also wondered about why the titular TwoDots are referred to as “brave,” or asked where the really unusual levels begin, the ones that require you to do more than simply collect dots. The answer would be level 11, as that’s where the settings change and so do the gameplay mechanics. 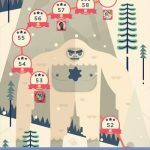 So if you’re ready, let’s continue our TwoDots walkthrough with strategies for levels 11 to 15. Every move is important here, and aside from creating patterns, you’ll also have to drop anchors to finish this level. For the dots, squares will again be your best friend, especially since there are just two colors to clear. For the anchors, work on dropping them as soon as possible, and avoid getting them stuck right above a specific color. 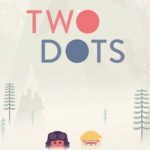 The objectives may seem very easy for the uninitiated, but you’ll still have to collect dots in such a way that the anchors drop within the required number of moves. For the board, you’ve got five different colors and a large 6×6 square arrangement, and if you get stuck with a board that doesn’t have too many like-colored dots, squares will again be most helpful. Just don’t focus too much on larger patterns, unless you’re looking to complete a square of a certain color. Also, you’ll want to create patterns underneath the anchors for best chances of bringing them down. Don’t be daunted by the requirement, or the fact that there’s a cutout on the board, with the anchors on the right side – this is just a tutorial level. Work on that right side where the anchors are stuck, and try to make bigger combinations to earn points. And since you’re not supposed to succeed in this level anyway, you’ll be given a bomb once your moves are up – that’s what you will need to bring the two anchors down. All in all, that’s 85 dots to clear and ten anchors to drop, a whole lot of each considering you’ve got only 20 moves to complete this level. As such, the best moves would be the ones that do a lot of both – clear dots and drop anchors. Make bombs (just as we showed you on the last recaps) whenever possible, as that’ll help you drop anchors faster. The level will become much easier once the first two anchors are dropped, and by that time you can take advantage of the small board size to create boxes. Like in other purely anchor-dropping levels, you don’t have to be mindful of how many different colored dots you collect, so you should focus solely on dropping anchors. Big combinations will be challenging here due to the narrow configuration of the board, but just as usual, you’ll be better off working at the bottom and creating squares when the opportunity comes up. And once you create one square, there’s a chance you can create more squares continuously, and that will lessen the chances of your anchors getting stuck on top of a dot without any matches of the same color.